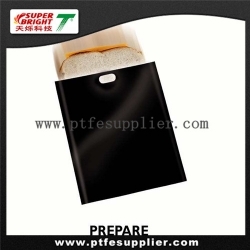 PTFE oven microwave /cooking roasting bag, made of PTFE coated fiberglass, are typically designed for all kinds of toasters. No mess, low oil, green, eco-friend, healthy life and energy day. These are the main purpose that we want to share with our friends and families. How to use reusable, dishwasher-safe bags ?